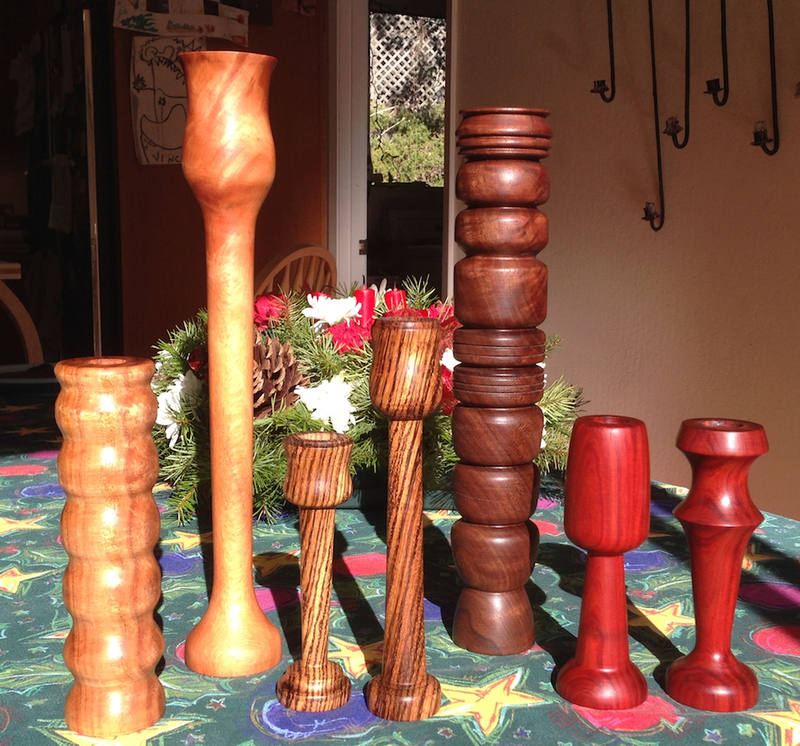 Kolya has been making candlestick holders on our $75 lathe to give as Christmas gifts. We’re down to the wire and I’m hoping the finish dries quickly on the last couple. It won’t of course, but I can hope. Lets to his own devices Kolya tends to make a cylinder with grooves, I’ve been pushing him to make more graceful shapes. From the left, one in Black Acacia, one tall tulip-shaped holder in figured Redwood, two smaller tulip-style holders in Zebra wood (nasty to turn), a very tiki-ish tall holder in Claro Walnut and two shorter holders in some (still wet) exotic turning wood from Woodcraft. I know it takes the wind out of my sails. 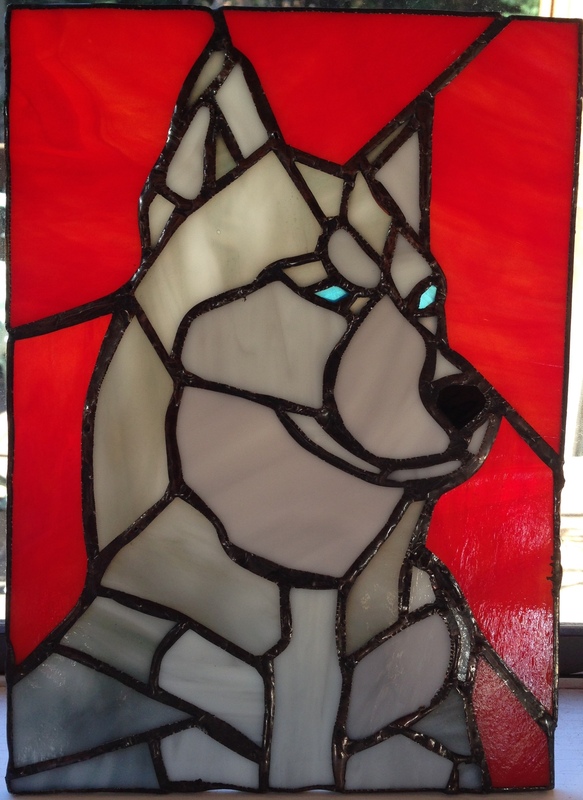 Recently my 13 year old started a stained glass project, it’s a rendition of a Husky — which is his favorite breed of dog. He was cranking away on it, he had all of the parts cut and fit and started applying the copper foil to the edges. But he got in a hurry and didn’t double check the fit with all the parts. He started soldering it and it shifted around and got out of control. He felt like a failure, and wanted to chuck it in the trash. Having been there myself plenty of times (they have streets named after me) I coached him to not give up on it. 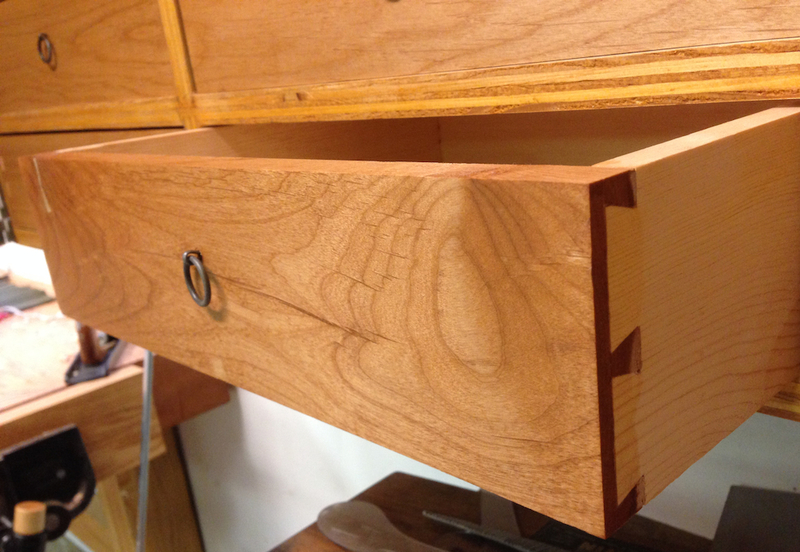 I shared some of my more spectacular shop blunders and encouraged him to fix the problems and finish it. Monday he decided he was going to get it finished. 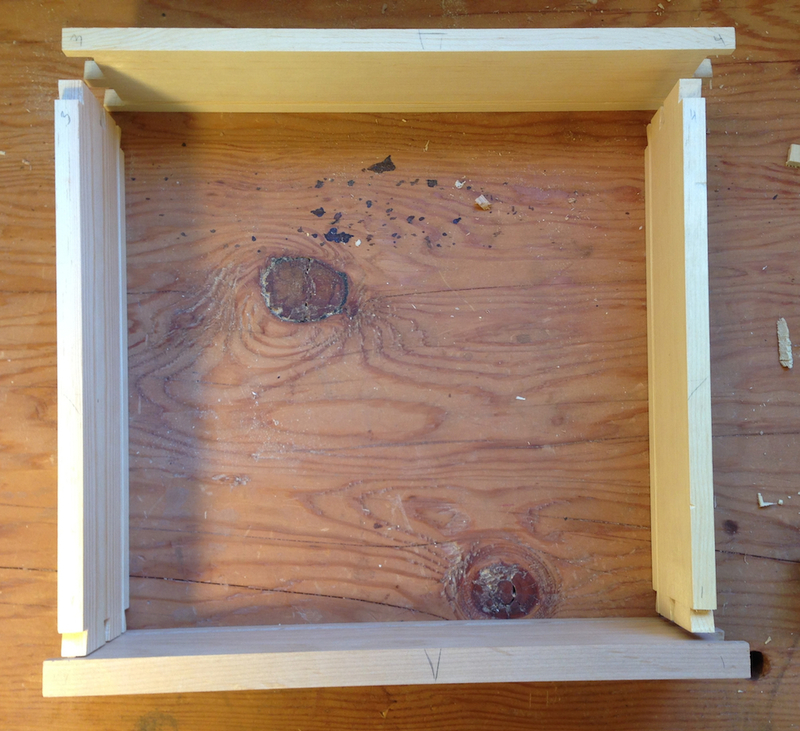 He pulled off all the the foil and solder, and started fitting the parts into a little frame I made him to help hold everything in alignment. He had to re-make a couple of parts, and grind several parts to get a good fit. 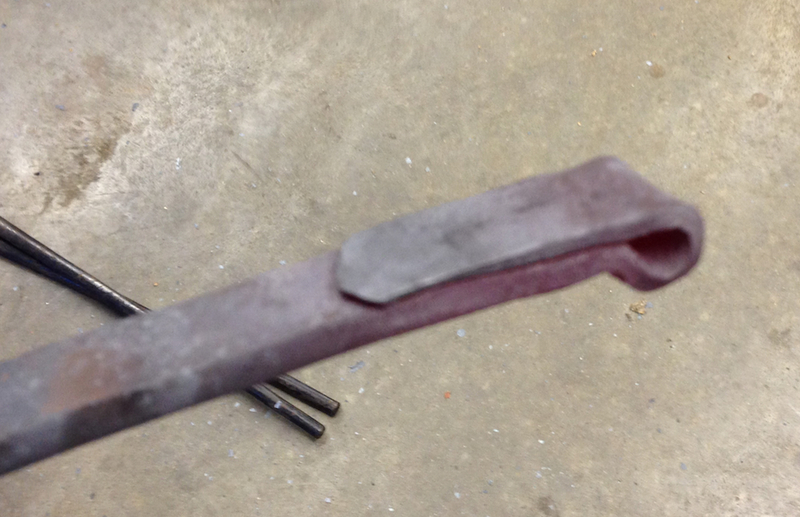 Then he started foiling the parts again, and discovered a few spots that were too tight and had to do more grinding. One of the pieces broke, and he cut out a replacement part. One of the Husky’s eyes was a little too small, so he made another. Then, he soldered it, added a patina and polished it. It’s beautiful. He did a first class job, and the result is something anyone would be proud of. And, I think, he learned an important life lesson. 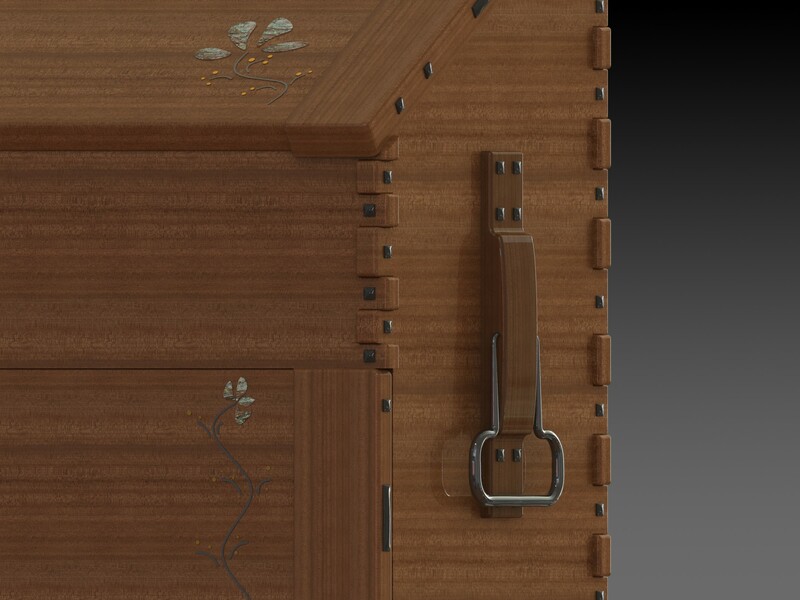 I’ve been toying with making a “dutch tool chest” for a while, and lately I’m wondering if I could make my own strap hinges. 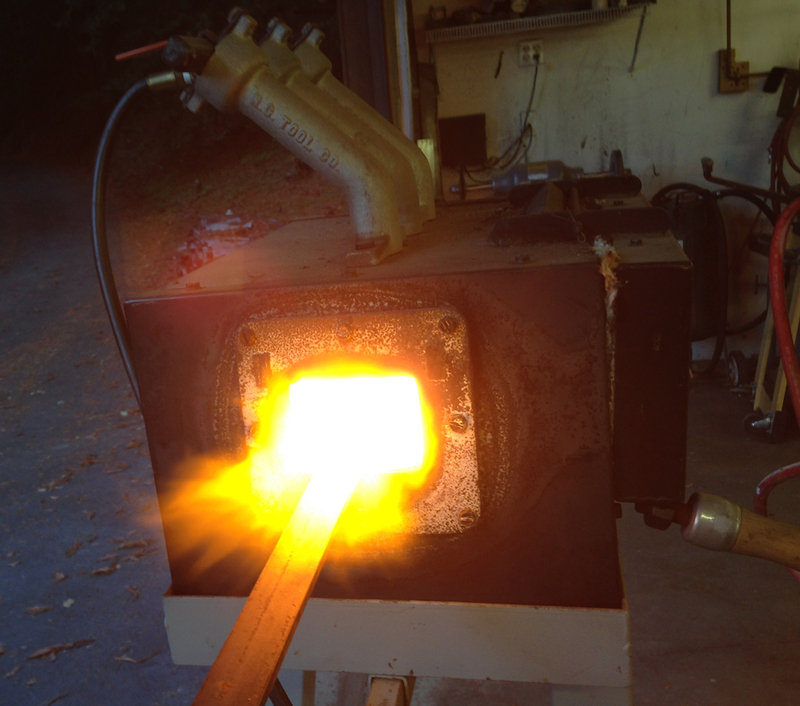 So I thought, since I had the forge out and hadn’t burned myself so far, I’d do a sample piece. 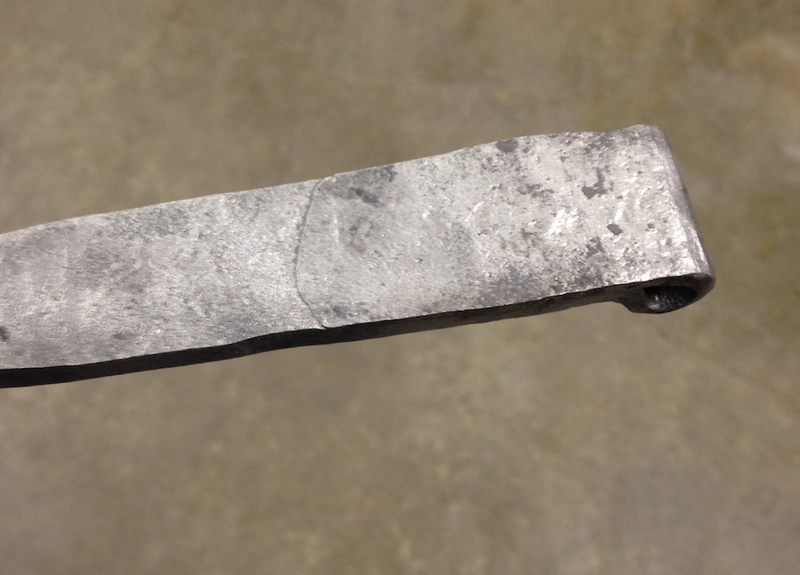 I started with some hot rolled steel bar stock, 1/4″ x 1 1/2″ (ish). 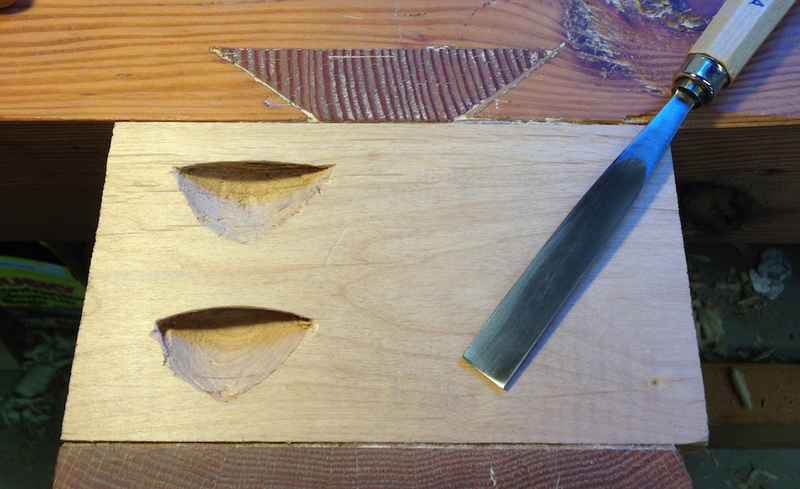 I drew out (thinned) one end, formed a hinge eye (sort of) and laid the thin part onto the back. I forge welded that so the eye would be plenty strong. 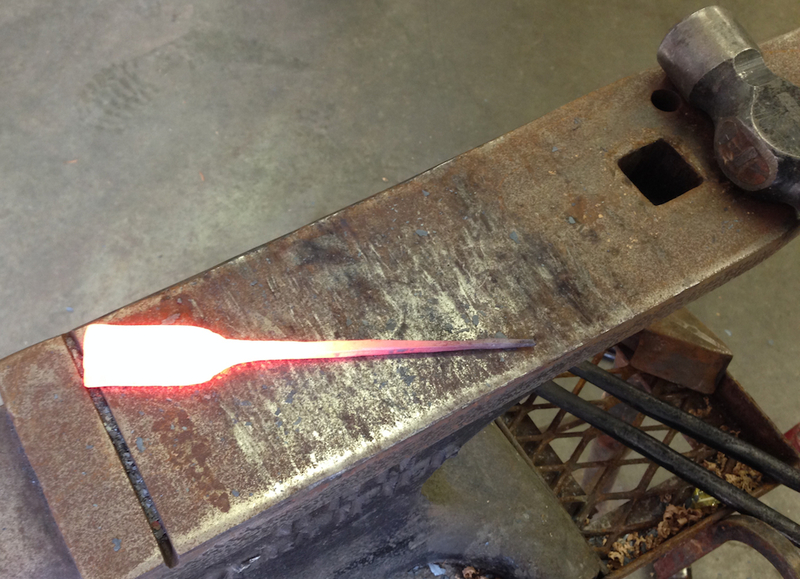 Then I forged a little decorative lump on the other end. 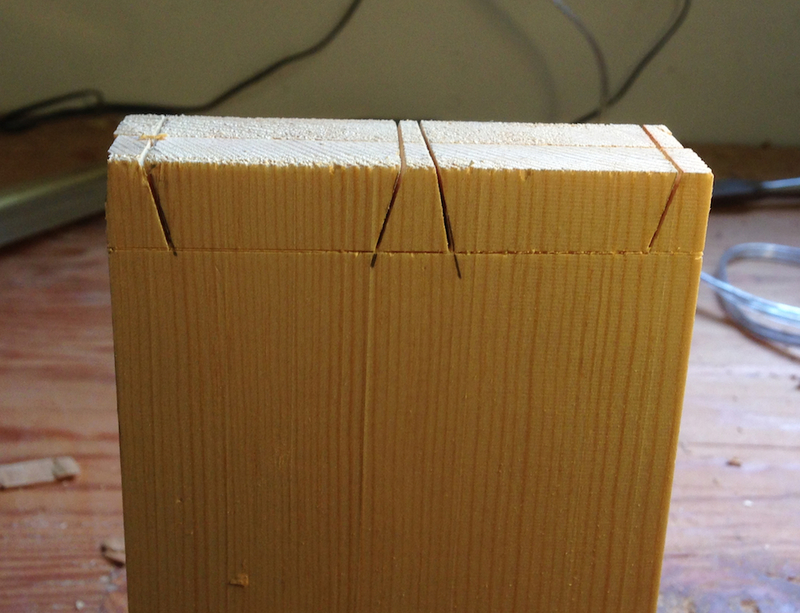 It looks sort of like part of a hinge. 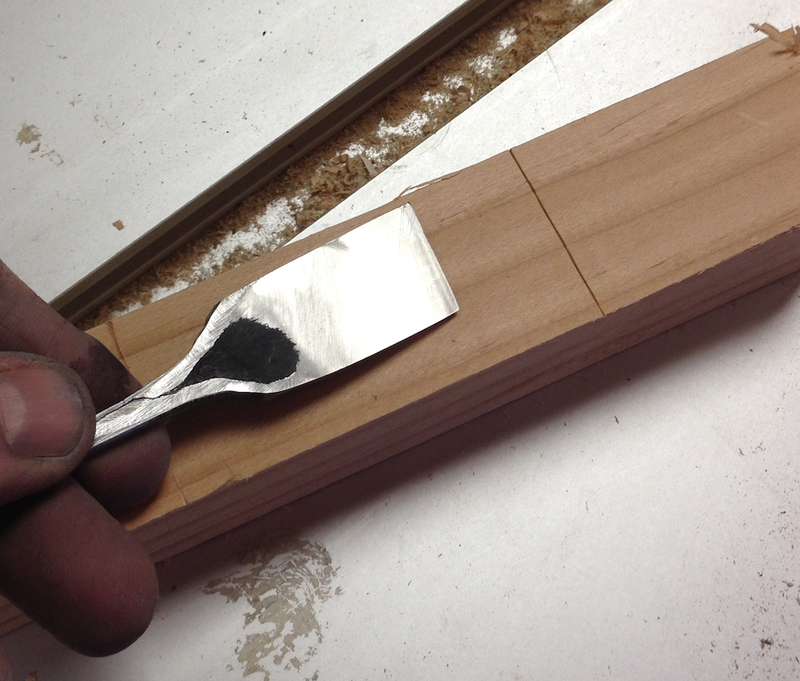 The stock is a little too thick for this scale hinge – I’m just working with scraps I have on hand. When I set up the space to do woodwork I hauled away all of my scrap metal that I’d saved up for “someday” blacksmithing projects. And no, I don’t miss it. So, what’s the verdict? 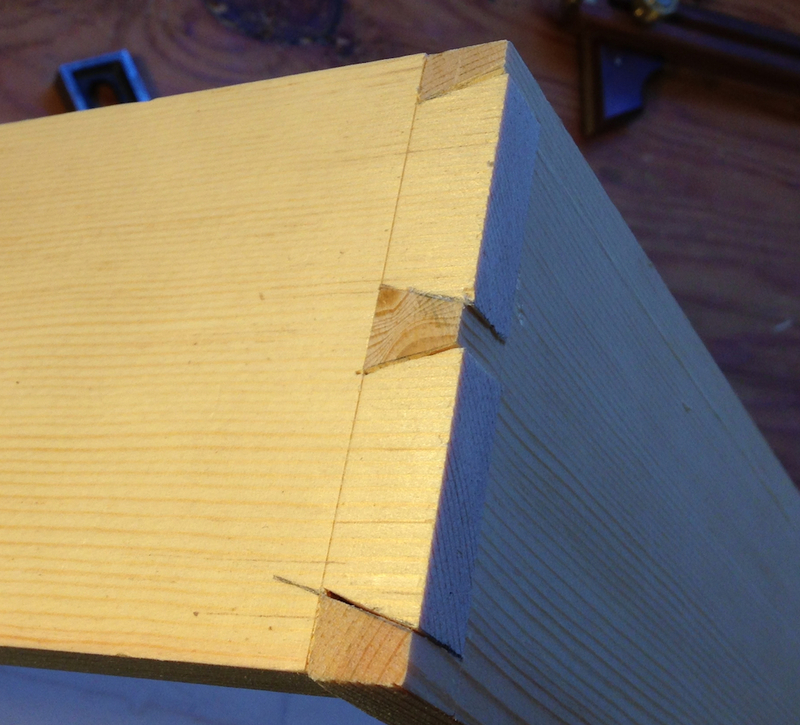 I think I could make a pair of hinges. 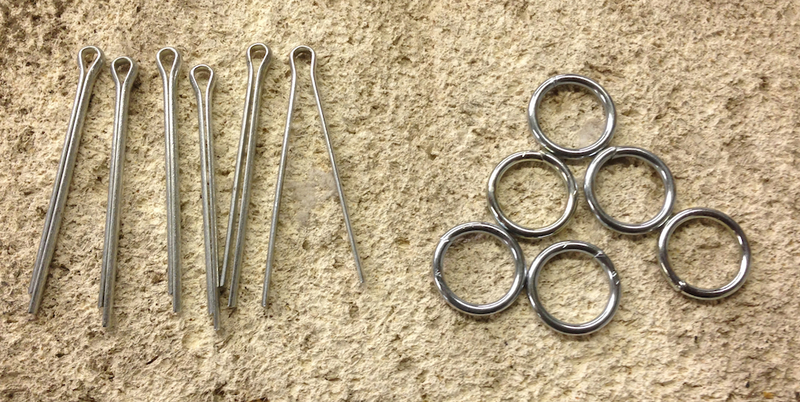 A little thinner metal (1/8″ or maybe 3/16″) would work better. 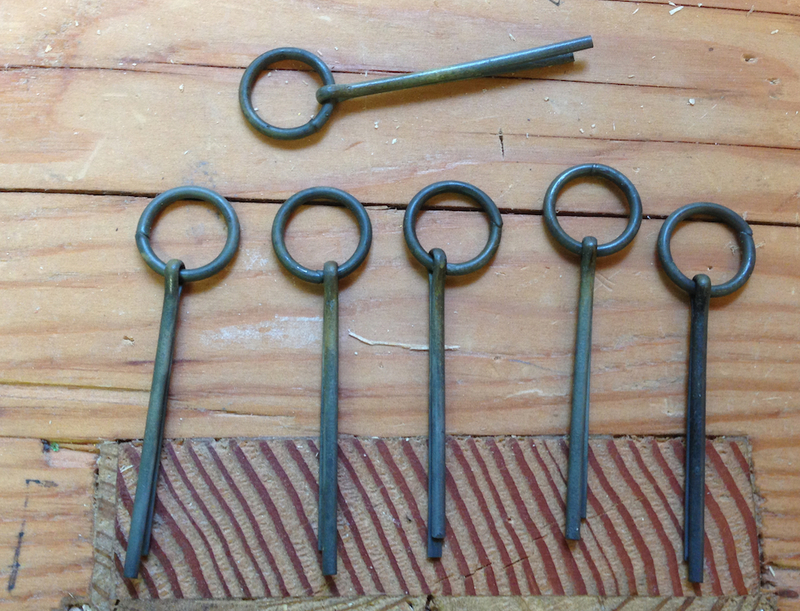 I need to make a “tool” to help chap the hinge eye, these are called “fullers”. 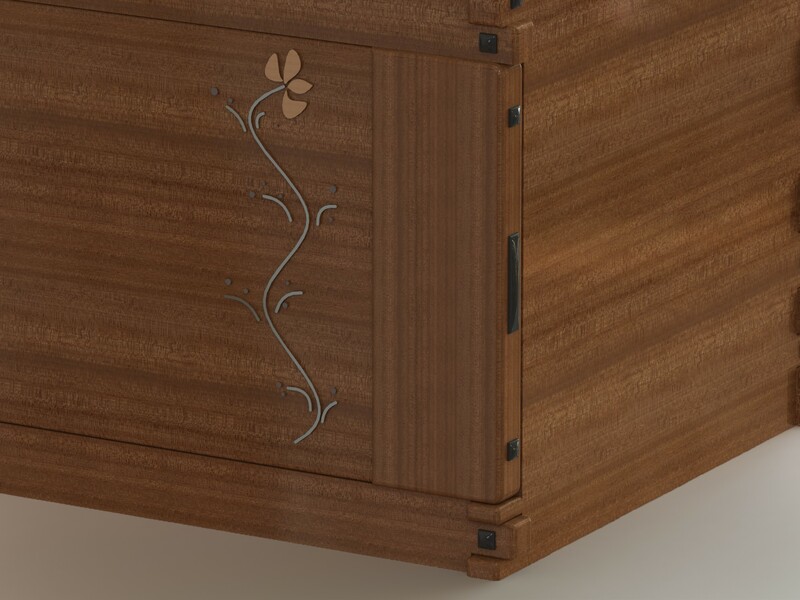 I started incising a design, and decided I didn’t like how it was going, but I think it needs some ornamentation. I’ll call it a firm “maybe”. I have a design in mind, but I don’t have the chops to pull it off. Maybe with some practice. I’ve been in a funk lately, too many things going on and not enough time in the shop. Work has been particularly “interesting”, and feeling the need to correct my mood I decided to hit something. Specifically, a piece of hot metal. I haven’t done any forge work in years, and I’m an amateur at best, but this is a simple enough project and it was fun to knock out. Start to finish it took less than an hour. 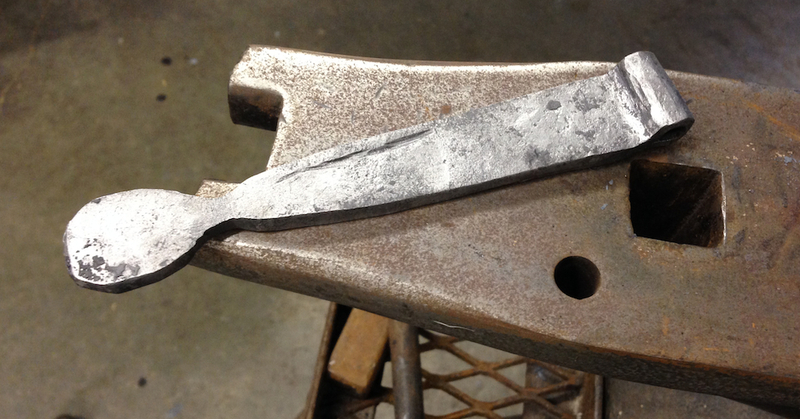 I started with a piece of 1″ wide by 1/8″ thick high carbon steel (1080). That’s probably not the ideal stock size to make one of these, 1/2″ x 3/16″ or 1/2″ x 1/4″ seems like it would be better. 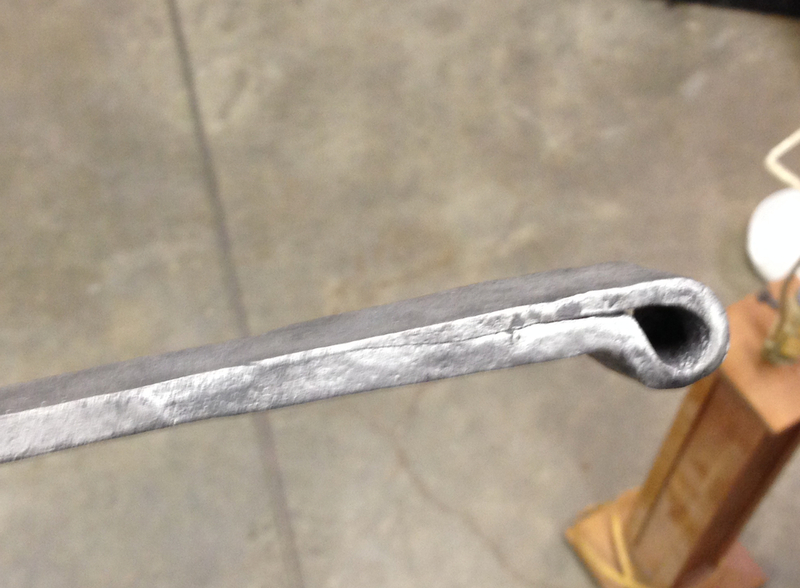 Or 1/2″ round bar. 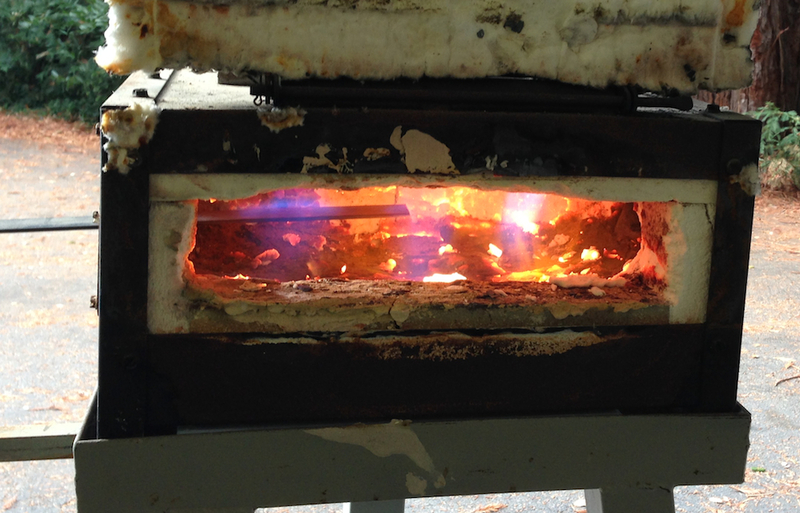 I didn’t take a lot of in-progress pictures because I had a roaring hot forge going, and a thin piece of steel that would cool quickly if I wasted any time. 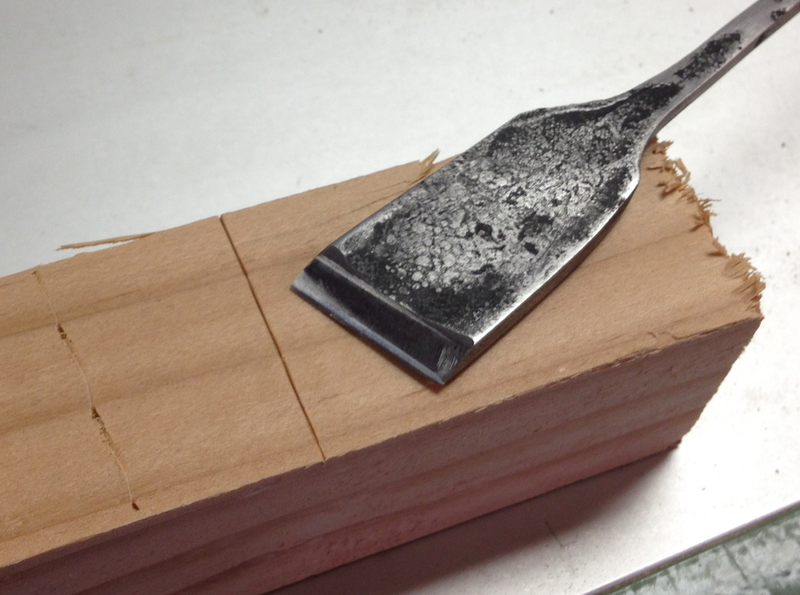 The process involves drawing out the point end by hammering on the edges, forging in a rough bevel, hardening and tempering, then sharpening. When I tempered the blade I kept the cutting edge on a heat sink to keep it from overheating, and the temper line stopped short of the edge — you can see a difference in the metal on the back where I flattened it. 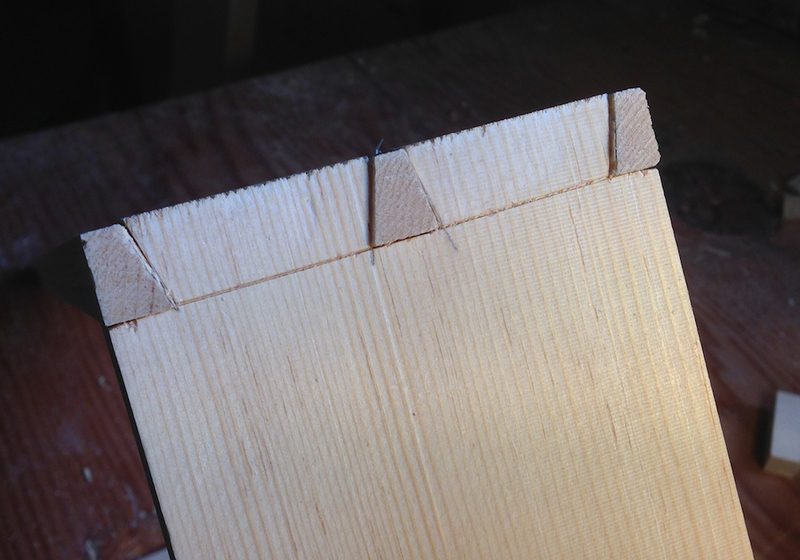 The knife edge is very sharp and should hold an edge well. I’ll probably make another one and see if I can improve my technique a bit. 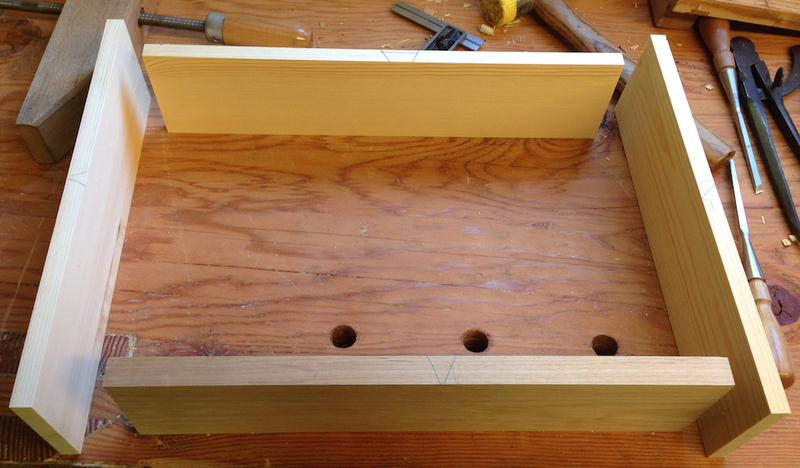 I’ve been toying with the idea of building a tool chest for a few years, every since I read Christopher Schwarz’ “The Anarchist’s Tool Chest”. 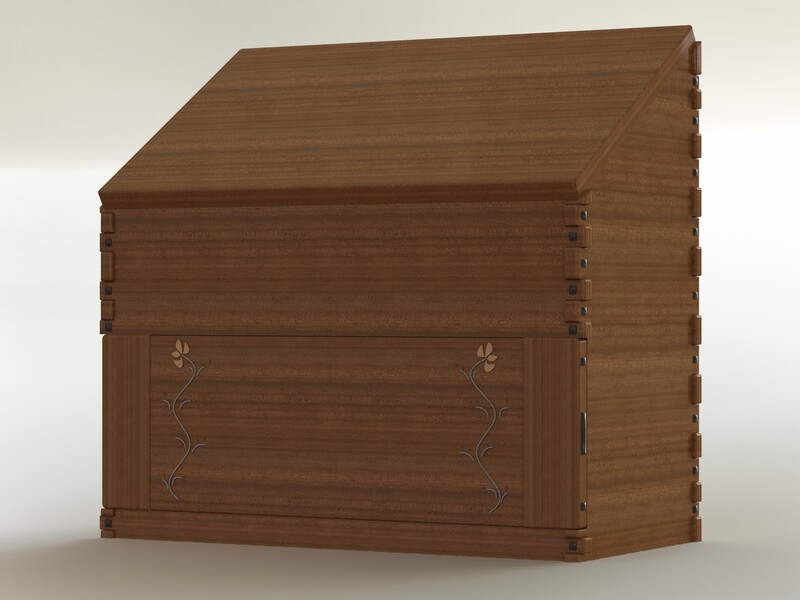 I thought of building one just exactly as he prescribed, then later thought about a wall mounted option (which I build for the pure efficiency of it) and lately I’ve been toying with building a Dutch chest. 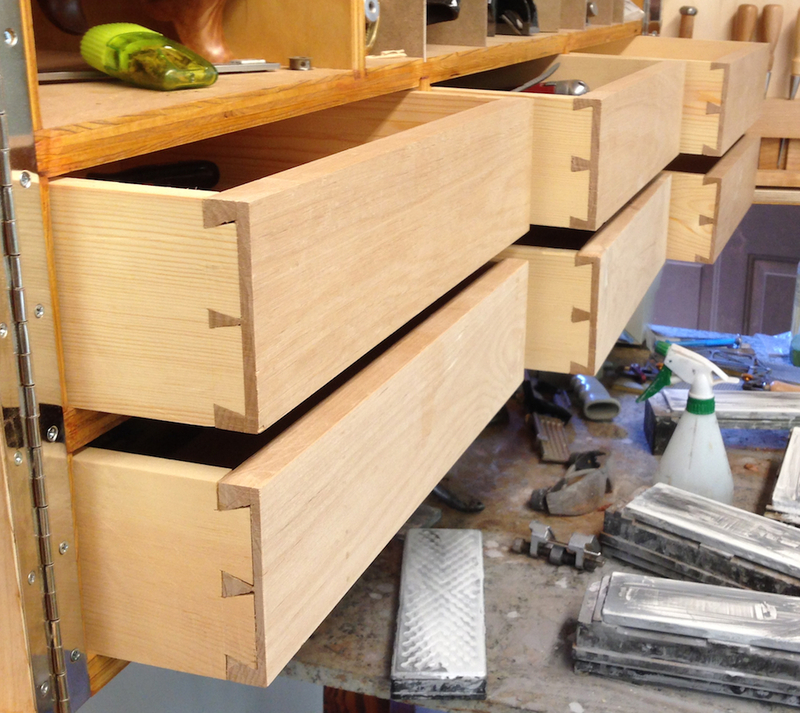 The original impetus was to store my tools, but the wall-mounted chest I build has been working really well for me. 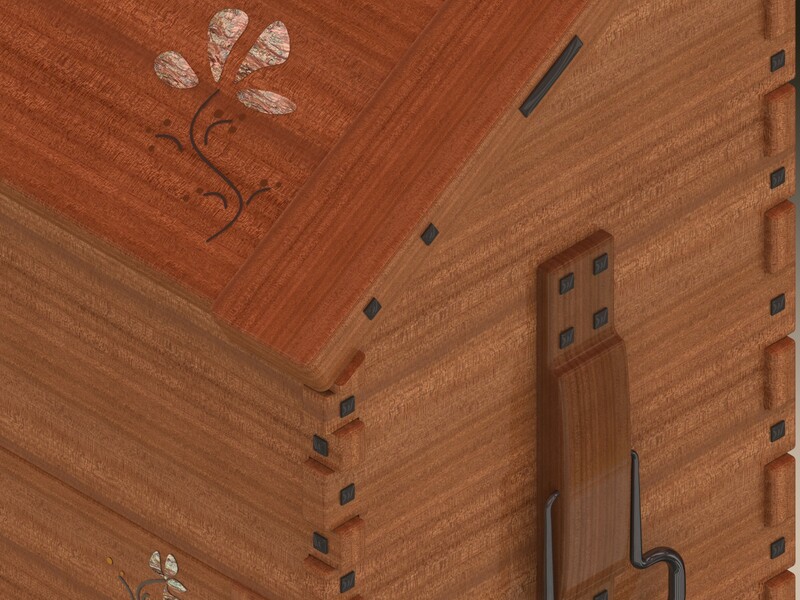 The idea of building a dutch tool chest is just for fun, and possibly to give as a gift for a friend. 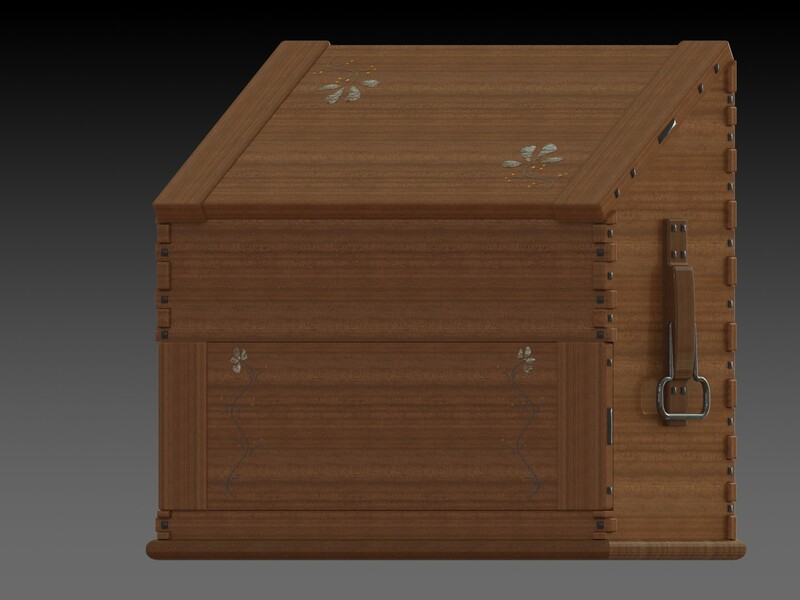 I joked about making a “Greene & Greene Dutch Chest” once, and the idea kinda stuck. I thought I’d draw it up and see how it might play out. I’d intended to incorporate more details into it, and I might play with it some more, but for now this is enough. Will I build it? Maybe, but it’s not high on my list. I’d want to play with the design more to work out the kinks.